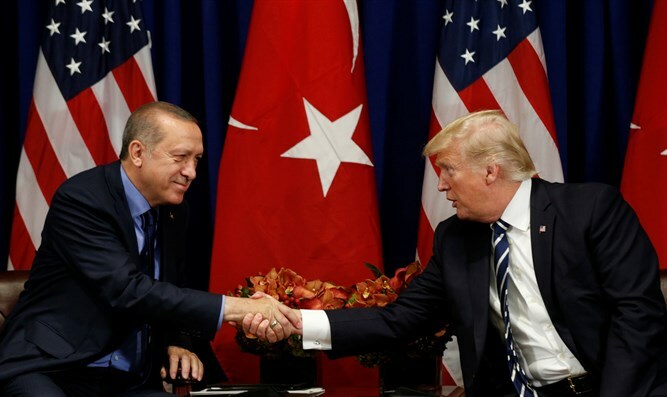 Trump threatens to impose economic sanctions on Turkey over its refusal to release pastor detained in the country for more than a year. U.S. President Donald Trump on Thursday threatened to impose economic sanctions on Turkey over its refusal to release an American pastor that has been detained in the country for more than year. Brunson has been imprisoned in Turkey over charges of espionage and terrorism. The Treasury Department, which administers financial sanctions, has not announced new penalties for Turkey over Brunson’s detainment. Trump did not specify when further sanctions on Turkey would be imposed or announced. U.S. Vice President Mike Pence made similar comments. “If Turkey does not take immediate action to free Pastor Andrew Brunson and send him home to America, the United States will impose significant sanctions on Turkey until this innocent man of faith is free,” he said. Turkey's foreign minister Mevlut Cavusoglu fired back at Trump in a tweet of his own. Brunson worked in Turkey for 23 years as a pastor before he was detained more than a year ago for an alleged connection to a failed coup against Turkish President Recep Tayyip Erdogan in 2016, reported The Hill. Brunson was accused of aiding the opposition Kurdistan Workers’ Party and working with Fethullah Gulen, an Islamic cleric who Erdogan claims orchestrated the failed coup. The Turkish government released Brunson from prison this week but has forced him to stay under house arrest. Turkey has pressed, so far in vain, for the United States to extradite Gulen over the July 2016 coup, in which more than 240 people were killed. Gulen denies any involvement in the failed coup.